Please scroll down for our new program of events, workshops, courses and exhibitions this April at the Willow Gallery. A celebration of local creativity with around 20 stalls in the main gallery and dunbabin room this is a craft fair not to be missed. Crafters, artists, designers and makers will be showcasing a wide range of handcrafted, locally made products including ironwork, jewellery, textiles, furniture, wood turning, silk, glass work, ceramics and much more. Fun 3-Dimensional weaving workshop for children and adults. Learn to weave and experiment with different materials with expert guidance from professional weaver Rikka Katajamaki. Create your own piece of orginal woven artwork. The Willow Gallery Craft Shop is now brimming with its new Spring Collection of hand crafted items, ideal for gifts or a special treat.. Please book in advance for all workshops and courses due to limited places. Rare opportunity to explore this exciting printmaking technique. During this two day drypoint etching workshop you will learn the basics of drypoint printing- similar to etching but without the acids and use Amy’s mobile printing press to make greetings cards, fabric designs, collage, a fine art print for your wall or anything else that takes your imagination! Use expressive line techniques and without solutions or acids, just card & ink, you will be surprised at the effects you can create! £80 for two days, including all materials. Create your own unique piece of jewellery or enamel art with expert guidance and tuition from professional enameller Pat Thatcher. Learn how to clean and prepare the metal, sift and wet lay enamel and make your own unique piece of jewellery using enamel, scriaffitto, millifiori beads, stencil or stamping. This workshop is suitable for complete beginners with no previous artistic experience and those wishing to develop their skills or learn new techniques. Max Studied fine art in Florence, Italy, and has recently had work shortlisted for the Royal Society of Portrait painters exhibition in London. Throughout the course he will be teaching and demonstrating a variety of portrait drawing and painting techniques and participants will have the opportunity to create their own oil portrait painting on canvas. Further techniques including glazing and detail will be covered for students who have previously attended one of Max’s courses. A selection of materials will be provided however if possible please bring: Oil Paints : White, ivory black, orche, ultramarine blue, raw umber, vermilion red. Canvas approx 40 cm x 30cm. Paint brushes, paint palette, easel. Professional guest speakers will give an insight into a wide range of art historical subjects, the artists’ inspiration, techniques, influence and historical context. Subjects include Dadaism, Irish Art, The History of Portraiture, Kitchener Poster, Natural History Illustration. Starting Tuesday 11th of March. 10am to 4pm. 8 Sessions: 11th March, 25th March, 8th April, 13 May, 20th May, 10thJune, 24th June, 8th July. This inspiring, practical painting course is ideal for those wishing to capture the wonderful colours and forms of flowers in a variety of styles and media, whilst further developing their observational and painting skills. Throughout the course colour mixing, mark making and compositional skills will be developed through exploration a variety of techniques and study of historical and contemporary artists. Demonstrations, group discussions and individual advice and assistance will be given. Tereska has recently had work accepted for the Royal Institute of Painters in Watercolour Annual Exhibition at the Mall Galleries in London. This exhibition features work inspired by gardens and gardening and she will be teaching a Painting Gardens Course at The Loft in Welshpool. This course will conclude with an exhibition of students work in The Dunbabin Room at the Willow Gallery. This 8 session course will involve painting visits to some of the most beautiful and interesting gardens in the area including Powis Castle, The Dingle and local allotments. Whilst back in the studio we will experiment with a wide range of watercolour and mixed media techniques for depicting colour, texture and form. Artist’s gardens will be studied and their ideas of composition and form will be brought into our own garden paintings. Demonstrations, discussions, practical projects and individual advice and assistance will be given throughout each session. Throughout the course the human form will be explored through the exciting language of drawing. This guided course will give you the confidence and skills to develop your abilities to the next level. Professional artist Darren Fraser brings his enthusiasm and skills to this course where a variety of approaches and techniques will be developed including working from a life model. This taught course is open to all levels. £40 for 4 sessions. Please bring your preferred drawing materials. You may also wish to bring your own easel although a selection of desk top easels will be available. Starting Sunday 9th March. 10.30 to 12pm. Cultivate Strength & Flexibility in Body & Mind. Improve co-ordination, posture, balance awareness and focus. Qi Gong and Tai Chen Movement. During these relaxing Sunday sessions we will cover: The Eight Pieces of Silk, Sixteen Step Dynamic, Qi Gong by Grandmaster Shen, Five Element Qi Gong, 6 Healing Sounds, The Tai Hui, Chen soft circle work and silk reeling. Spaces still available for drop in sessions. Tai Chi – with Alan Jeffries. Starting Sunday 11th May. Have fun experimenting with a variety of artistic techniques including weaving, ceramic painting, felt making, printmaking, fabric painting, mosaic and much more! With expert tuition from visiting professional artists. Dunbabin Room with Outdoor Seating – Bring your own ceilidh picnic and drinks. Live music from the Devil’s Chair Ceilidh Band and tuition from professional caller Hilary Evans. Chris Quinn is becoming known across the UK and Europe as an exceptional acoustic musician, songwriter and performer. He’s recently taken in shows at some of the world’s most famous venues, from BB Kings Blues Club in New York, to London’s Royal Albert Hall and from Cambridge folk festival to touring with the opening act for The Jools Holland Orchestra. Heavily influenced by British folk and roots music his songs have been critically acclaimed in the music press. Chris’ shows cover a wide range of contemporary acoustic music alongside his own songs, from beautiful interpretations of British folk songs to inventive flat picked tunes and from mean finger style delta blues to instrumental solo guitar pieces. Acoustic Sessions – 1st Saturday of the month, 3.30 – 5.30pm. All acoustic musicians welcome for an informal gathering to share ideas, perform and jam. A special exhibition running in connection with the Oswestry Lit Fest, a celebration of the written, spoken and sung word. This open exhibition will celebrate the influence and inspiration of literature and language on the visual arts. Artists have explored this interesting and inspiring topic in a broad range of styles, materials and interpretations. Featuring ‘Grimm (a quartet of perspectives)’ the work of contemporary enameller Maggie Furmanek, inspirational jeweller/metal worker Sara Piper Heap, and evocative mixed media artist Judith Harrison, exploring The Grimm Fairy Tales. Penny Price, Anthony Butterflield, Lyn Evans, Susan Mulcock, Jake Stephenson, Amy Sterley, Emma Walton, Alison Holt, Allanah Piesse, Judith Harrison. 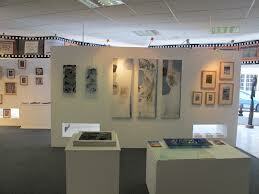 To compliment out main exhibitions the gallery has a number of prominent walls available to rent on a 4 week basis. All artists are requested to send a sample portfolio of their work for consideration before acceptance. A number of smaller spaces are available for between £10 and £15 a month for small or individual pieces. Please contact the gallery for date availability along with a sample portfolio. Summary: An Open Exhibition to all Themes & Subjects. Media: Open to all media: Paintings, sculpture, original prints, textiles, drawing, ceramics, photography, glass and metal work. Description: This exhibition will run for 5 weeks. Artists can submit single piece or a series of work, submission fees are according to the space used rather than number of works submitted. Artwork Delivery: Saturday 19th April 2014 between 3 and 6pm. Afternoon Tea at Willow Eatery is the most perfect way to spend a relaxing and indulgent afternoon, with the added benefit of being situated within an art gallery should you chose to browse the latest artwork on display, or visit the gift shop for some unique, local crafts. As the name suggests, these are only available in the afternoon, however one weeks’ notice must be given for afternoon tea. The total price for 2 to share a delightful afternoon tea is £22.50, with any additional persons thereafter at £10.00 per head. Congratulations to our wonderful fit athletes who last Sunday completed their first half marathon in aid of Parkinson’s Disease Research. Now it’s up to us to support and sponsor them. If you have already donated, thank you very much, you are ahead of the game. We have until next Monday to raise as much money as possible. If you would like to support this cause, please donate to Coco Vidal at The Willow Gallery. The Willow Gallery is a community interest, not-for-profit gallery; therefore your support is much appreciated. The Willow Gallery, 56 Willow Street, Oswestry, SY11 1AE. Copyright © 2014 The Willow Gallery, All rights reserved. You are receiving this email as you’ve signed up to the gallery’s mailing list. « Our Next meeting is at Judy Greaves’s to see her wonderful stone carvings!